Opti-Time is a cloud-based field service management application which provides enterprises with the technology to optimize field service movements and activities through route optimization, geo-planning and geographical business intelligence. Offering complete integration with Salesforce, Opti-Time enables users to to manage and manipulate all localized custom objects such as address or location data. With Opti-Time’s route optimization tools, users can schedule field service calls and calculate effective routes to those calls. Opti-Time identifies and prepares the optimal calls and routes to be taken using intelligent geographical targeting and geo-planning technology. Designed to enhance user-productivity, Opti-Time’s geo-planning capabilities allow users to automate daily, weekly or monthly scheduling for multiple resources. Opti-Time’s advanced optimization features enable users to plan routes while considering unlimited numbers of constraints including points of departure, appointment durations, and visit rules. Opti-Time can reorganize routes in order to comply with any additional constraints using powerful optimization algorithms. Users can also see and manage client accounts and distribution through Opti-Time’s interactive map, satellite view, and drag-and-drop interface. This software provides the best functionalities coverage and enables a huge ROI in a few months. Its strong customisation makes it relevant in many business cases. We have tremendously increase our tech efficiency with OptiTime. We work very closely with OptiTime team and they are very reactive. OptiTime is part of our Service strategy. Some fields are not yet present in the summary, but we're working on it. Our relationship is trusty and successfull. For full pricing information, contact Opti-Time directly. Opti-Time is available as a native mobile app, enabling individuals to view assignments, post reports, and manage appointments on the move from any smartphone device. 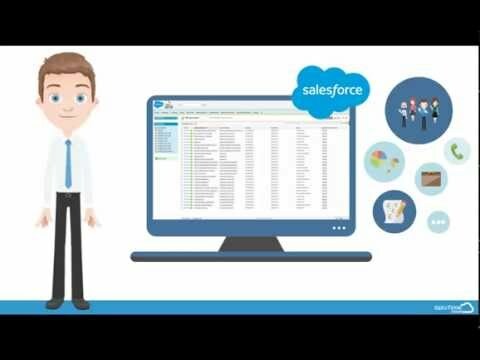 Opti-Time supports complete integration with Salesforce, giving users direct access to all localized custom objects such as address or location data. Featuring real-time monitoring technology including real-time vehicle tracking and alerts, Opti-Time ensures optimal reactivity of field teams to different situations including emergencies. With multi-constraint optimization algorithms, Opti-Time can configure routes while considering restrictive factors such as points of departure, specific timeslots, and appointment durations. Opti-Time provides geo-planning tools, allowing users to manage short and long term strategic planning by automatically populating daily, weekly, or monthly schedules. Below are some frequently asked questions for Opti-Time. Q. What type of pricing plans does Opti-Time offer? Q. Who are the typical users of Opti-Time? Q. What languages does Opti-Time support? Q. Does Opti-Time support mobile devices? Q. Does Opti-Time offer an API? Yes, Opti-Time has an API available for use. Q. What other apps does Opti-Time integrate with? Q. What level of support does Opti-Time offer? Q. Which apps is Opti-Time compared to most often?